IN THE 21st CENTURY, ALL SURGICAL DISCIPLINES NOW COUNT ON AN INVALUABLE ALLY IN THE ADVANCEMENT OF NEW TECHNOLOGIES AND THEIR GROWING APPLICATION TO SPECIFIC AREAS. 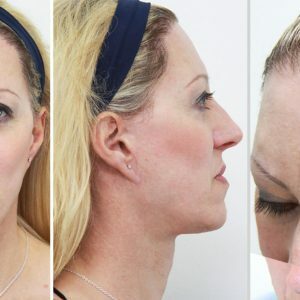 Facial Team has implemented new protocol based on the application of advanced techniques to one of the most complex surgeries of facial feminization: mandibular remodeling. Specifically, the field of radiology has undergone a spectacular development in imaging techniques which permit a superior level of anatomical detail. It is important to highlight how facial feminization surgery now benefits from the current innovations already successfully applied in various fields of medicine and surgery. In selected candidates for jaw surgery who require bone sculpture of the mandibular body and angle, we may request a computerized tomography (CT-scan) with special characteristics. Once completed, the images are sent to a partner laboratory that creates an exact three-dimensional model of the patient´s jaw within one week. With this 3-D model we can get an accurate idea of the changes needed to soften and redefine the jaw. Moreover we can conduct a virtual surgery on the model, allowing us to know in advance where to focus our work and enabling a more accurate and predictable result. 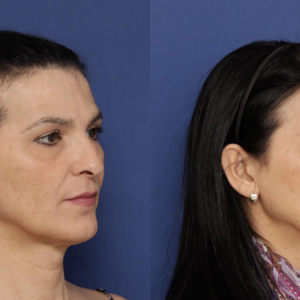 Thanks to the cooperation of our patients, the work of all the components of Facial Team and our partner companies, we are proud to be pioneers in the practical application of this diagnostic technique in the field of facial feminization. The additional cost for the model is approximately 500 € (not including the completion of the CT scan). The cost of mailing and the CT scans will be the responsibility of the patient. Dr. Luis M. Capitán and Dr. Daniel Simon are founders and co-directors of FACIAL TEAM, an internationally renowned team of professionals specialized in facial feminization surgery, operating together in Marbella, Spain and Sao Paulo, Brazil.